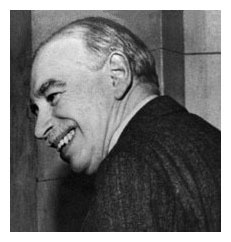 Paul Krugman’s column on “Keynes Comes to Canada” is a treasure-chest of Canadian policy issues. His focus is on the Liberal Party’s platform position to run budget deficits for a few years to finance infrastructure investment — “Interest rates are at historic lows, our current infrastructure is aging rapidly, and our economy is stuck in neutral. Now is the time to invest.” Krugman gives the Liberals credit for avoiding the “deficit-obsessed austerity orthodoxy” that has so influenced fiscal policy in Europe and the U.S. The Liberal platform is an example of balancing budgets over the business cycle (Macroeconomics for Life, Ch 12.3). Infrastructure investments also have positive externalities (Microeconomics for Life Ch 11.4) so the benefits extend beyond the initial injection of spending and multiplier effects. Krugman also chronicle past Canadian policies that defied orthodoxy and turned out to benefit our country — floating exchange rates in the 1950s when many currencies were pegged to the U.S. dollar, and strong bank regulation which spared Canada from the worst of the 2008 global financial crisis.